Bloggers4UKIP: Join the government of Britain? 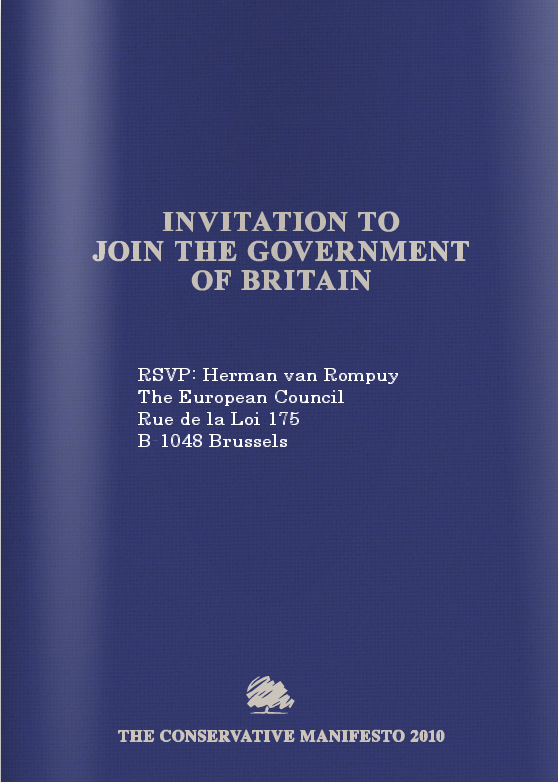 Join the government of Britain? 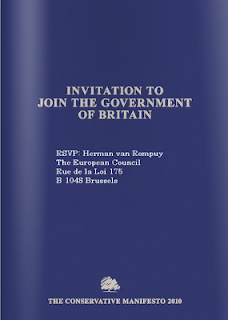 The Conservatives have launched their manifesto for the general election with an "invitation to join the government of Britain". The manifesto contains lots of promises from "Cast Iron" Dave, many of which are watered-down version of UKIP policy and most of which relate to England only (I'll discuss that somewhere else later). £150 per year? That's a few weeks of our personal contribution to the EU budget. In England only. UKIP will reintroduce grammar schools so bright children get an education that will make the most of their potential. In England only. UKIP will allow people to opt out of the NHS if they want to. England only. UKIP will abolish regional quangos which cost much more than 65 MPs. We will need all our MPs when the EU isn't making 75% of our laws. How much will it cost to administer and who will actually look at it other than journalists? New tax on financial services for "social responsibility"
England only. There will be less unemployed youngsters when business is thriving. Dave's promises are worthless as we've already seen with his promises on the West Lothian Question and the Lisbon Treaty. For once I'm glad that he does break his promises, there's very little in the Conservative manifesto that will benefit the economy or society.